"Easiest choice in wedding planning. Hire her as soon as you start planning!" She not only creates amazing work, she treats you like a friend not just a client. I had a bazillion questions beforehand and she was super patient to answer all of them. She is very skilled and knowledgable, we have zero complaints and it was definitely worth it! I couldn’t tell you how thankful I am I had a friend/photographer like Corrie by my side! It’s easy to see it’s more than just her career, - more than once I saw her grinning behind the camera! Looking back, I’m so thankful we chose to use Corrie for the photography. I truly felt as though she was just as excited for my husband and I to get married as we were. I know this process is something completely new to you, and you have lots of questions! My goal is to have as much information as possible available to you as you find a photographer to fall in love with, so I've created this FAQ page for you. ARE YOU A LEGAL, TAXPAYING BUSINESS? Yes I am! Click here to search for my listing on the Arkansas Secretary of State business directory. Yes! One of the first things I did when I started my business was get liability insurance and insure all my gear. I like to have all my bases covered! I bought my first DSLR when I was 20 years old. I started by photographing my kids and family members, and that little hobby (ok, obsession) has grown into what you see today! 2018 is my fourth year photographing weddings full time, and prior to that I was a birth and portrait photographer. Yes! 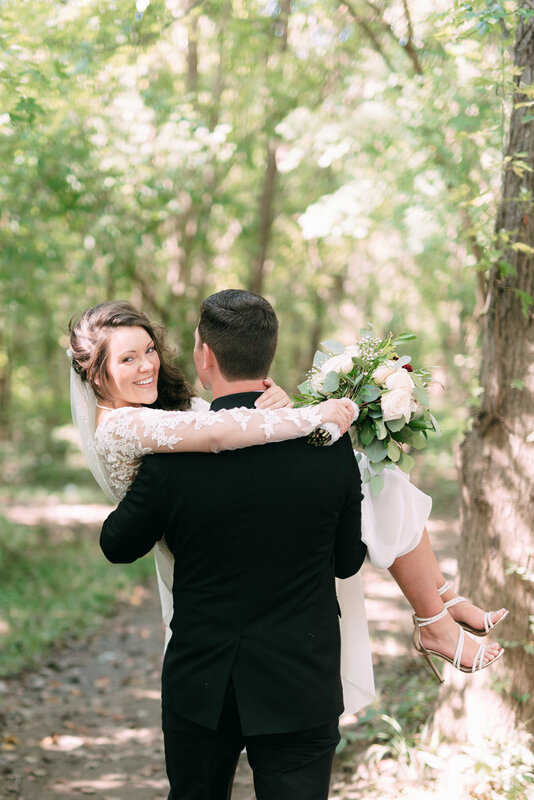 The pre-made collections I offer include mileage to travel to weddings and engagement sessions within a 50 mile radius of my hometown here in Northwest Arkansas. If the trip will require one or more nights in a hotel, there will also be a lodging fee (my second shooter and I can share a room, so we only need one). Out-of-town engagement sessions and bridal sessions may incur additional travel fees, as will weddings requiring more than 100 miles of travel round trip. Please send an inquiry for more information! ARE YOU AVAILABLE FOR WEEKDAY WEDDINGS OR ELOPEMENTS?? Yes, I am available for weekday elopements and weekday weddings. Please contact me to check my availability! WHAT IS INCLUDED WITH YOUR PHOTOGRAPHY COLLECTIONS? My first collection includes 6 hours of wedding coverage, the digital images, a print release and a complimentary engagement session. My other three collections include various amounts of time, two photographers, an engagement session, and an online gallery, and options like hand stitched, heirloom albums, customized crystal USB drives and photo guestbooks. All of my collections include 100 miles round-trip to travel to your wedding and session(s). For more details please inquire! HOW DO YOU DELIVER IMAGES TO YOUR CLIENTS ONLINE? In addition to the beautiful glass engraved USB drive that I have available to my clients, I use a pretty amazing online gallery/delivery system called PASS. All of my client's galleries are delivered through PASS, which allows me to digitally send high-resolution photos to you for printing yourself, or order prints from my pro lab. You will also receive a print release to show your print lab that you do indeed have personal use printing rights! We will usually meet to go over how to use PASS before your gallery is delivered. For weddings, I deliver galleries around 6 to 8 weeks. For all other portrait sessions, delivery will be around 3 to 4 weeks. 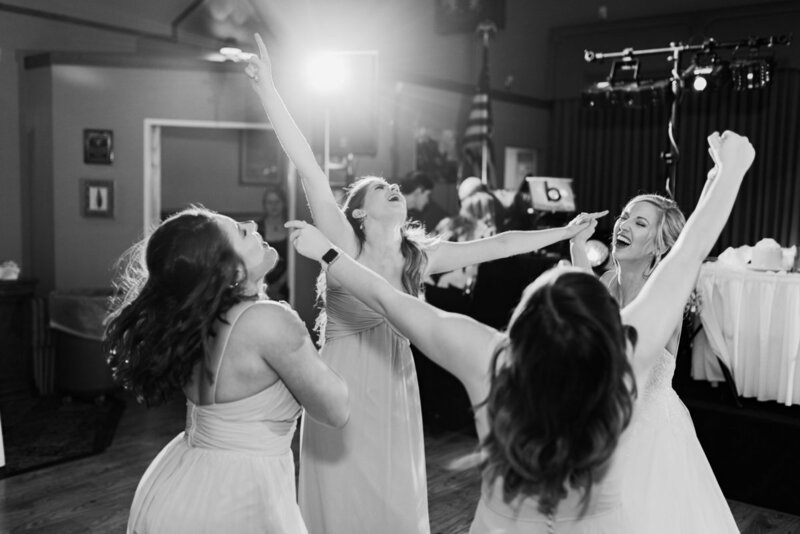 I curate each wedding and session to deliver the best and most flattering images. You can expect to receive between 50 and 75 images per hour of wedding coverage. For most portrait sessions, you can expect between 30 and 60 images. HOW DO YOU CHOOSE YOUR SECOND SHOOTERS? I’m incredibly blessed to know so many wonderful photographers in my community here in Northwest Arkansas and around the nation. I only choose photographers who I am completely comfortable with and know will deliver images that are on par with my own, and I edit the entire gallery myself to ensure stylistic consistency. HOW INVOLVED WITH OUR WEDDING PLANNING WILL YOU BE? As involved as you want and need me to be! Some of my clients are in constant contact throughout their engagement, asking questions about vendors that I know or my opinion on how parts of their day will photograph. Others prefer for me to be more hands off, and just fill me in on the plan at the end of their engagement when it's almost time for the wedding. Either way is fine with me! Yes! I touch each and every photograph to refine color, contrast and tone and to make it my unique style. Additional retouching (like skin smoothing) is done to each image that you plan to print for your wall or album. Extensive editing beyond skin smoothing and basic edits is available on a case-by-case basis. Yes! I adore and believe in capturing authentic moments and emotion, but I also understand the importance of having photos of the traditional parts of wedding coverage like family portraits and details. If you're on the fence about making time for family formals, I'd recommend doing them if possible. It's such a relatively short amount of time, and you never know how much you may treasure having a photo of all those faces in the future. My second shooters and I all use professional grade DSLRs and lenses, and have backup equipment with us at all times. I also bring lighting equipment so I can be prepared for any lighting situation. WE'VE HIRED A WEDDING COORDINATOR. DO YOU NEED TO MEET THEM? No, I don’t need to meet them prior to the day of your wedding. If they are available for our pre-wedding meeting and would like to attend, they are welcome to, but it’s not required. I will get their contact information from you and we will be in touch the weeks leading up to your wedding. WE'VE HIRED A VIDEOGRAPHER FOR OUR WEDDING. DO YOU NEED TO MEET THEM? I don’t need to meet them before the wedding (chances are I have already worked with them at a wedding before anyway)! However, I would love to have their contact information so we can touch base before your wedding day and make sure we are all on the same page. CAN YOU RECOMMEND A FLORIST/VIDEOGRAPHER/CATERER/ETC? Yes! I have many vendors that I know firsthand do an incredible job with the utmost professionalism. I have a whole list in the Client Lounge, which you'll gain access to as soon as you inquire with me! All that is required is a signed contract and a $500 retainer fee. You are welcome to pay your retainer fee either by check or online via a credit card - whichever is more convenient for you! Yes! Your remaining balance after the retainer fee will be divided equally into monthly payments. Your final payment will be due on the first day of the month prior to your wedding month. If there's a reason why this plan won't work for you, I'm happy to talk about an alternative too! Most of my clients book around 10-12 months in advance. Weddings require a lot of time and planning and photographers’ calendars tend to book up pretty quickly (I receive about 250 inquiries per year, and can only actually take on about 20-25) so don’t delay! Why don't you go ahead and reach out?